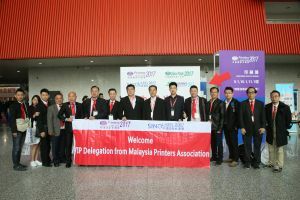 The curtain of the first printing and labeling exhibitions in 2017 was perfectly dropped at Guangzhou on 3 March 2017. The vitality of the industrial market could be reflected in the exhibition scale and number of visitors. “The steady growth of print and label markets have generated golden market opportunities for enterprises. 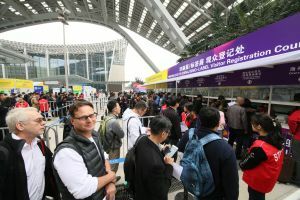 Catering to their needs, the scale of Printing South China 2017 and Sino-Label 2017 increased 3% to 95,000 sqm, while the total visitor numbers reached 68,019 eventually, with a growth of 20% when comparing with last year’s figures,” said Ms. Celine To, General Manager of Adsale Exhibition Services Ltd, one of the show organizers. Jointly organized by Adsale Exhibition Services Limited and China Foreign Trade Centre (Group), the Printing South China 2017 and Sino-Label 2017 were held successfully on 1-3 March 2017 at Area B, China Import and Export Fair Complex, Guangzhou, PR China. The shows attracted 68,019 visitors of which 9,722 were overseas visitors, accounting for around 14% of total number of visitors. Luster Lighttech Group commented that they had a 10-man team on-site and their main products were soft packaging, information inspection equipment and industrial vision inspection equipment. They agreed with the 4-in-1 expo concept and thought that the results were really good. They would join the exhibition again. This year, over 130 domestic and international delegation groups formed by trade associations and leading enterprises were attracted to the shows. They were from Malaysia, Thailand, Vietnam, South Korea, Taiwan, Hong Kong, Indonesia, etc. In China, professional delegations came from Guangdong (Shenzhen, Guangzhou, Dongguan, and so on) and provinces including Fujian, Anhui, Hainan, etc. Factory visits were arranged for premium overseas visiting delegations to facilitate in-depth communications between exhibitors and visitors. 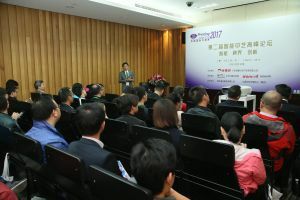 During the shows, concurrent events such as "The 2nd Intelligent Printing Summit" and "Innovation Drives the Future - 2017 China Label Green Technology Development Forum" were held at which high-caliber experts were invited to share a number of hot topics on smart packaging and labeling, digital packaging, intelligent printing, creative design and printing techniques. 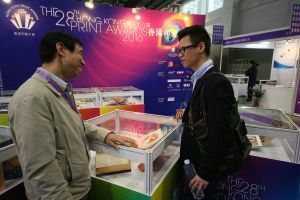 Furthermore, special activities zones including “3D Printing Activity Zone”, “The 28th Hong Kong Print Awards” Display Zone and “Ling Yun Cup - Gravure Printing Premium Display Zone 2016” were set up to capture visitors’ attention. Printing South China 2017 and Sino-Label 2017 featured the printing and labeling equipment and technologies with “intelligent, automated, green and efficient” functions, which provided a one-stop industrial chain to the visitors. Catering to the needs of printing and packaging manufacturers and end-users, Printing South China 2017 mainly focused on Post-press, Packaging Converting and Carton Packaging, meanwhile, also covered various equipment, materials, parts, etc. Prestigious exhibitors included HP, Epson, Guowang, Uanchor, Keqiang, Wenhong, Jinbao, Zhongke, Hongming, Zihong, Lixin, Donghang, Daqiao, etc. The concurrent show Sino-Label 2017 focused on digital, smart and green printing. High-caliber exhibitors such as HP, Omet, Epson, KURZ, Founder, Zhongte, Haotian, Brotech, Taiyo Kikai, Weigang, Rhyguan, Source MTR, Antac, etc., introduced a wide range of machinery and materials, especially RFID labels, anti-counterfeit labels, logistic-related labels and in-mold labels to visitors. The fairs featured 973 exhibitors and also attracted buyers from nearly 100 countries and regions. The on-site atmosphere was vibrant and there were frequent interactions between exhibitors and visitors. An onsite visitor survey was conducted by the organizer. Among the interviewees, nearly 80% rated the exhibition scale as “Excellent” and “Very Good” while around 95% said they “will visit this show again next year”. The 25th South China International Exhibition on Printing Technology (Printing South China 2018) and 2018 China International Exhibition on Label Printing Technology (Sino-Label 2018), together with The 25th China International Exhibition on Packaging Machinery & Materials (Sino-Pack 2018) and China (Guangzhou) International Exhibition on Packaging Products (PACKINNO 2018) will be held during 10-12 March 2018 at Area A, China Import and Export Fair Complex, Guangzhou, PR China. The synergy of the four shows will create a one-stop purchasing platform from printing, labeling to packaging industries where worldwide visitors can enjoy an all-round and time-saving sourcing experience. Stay tuned!